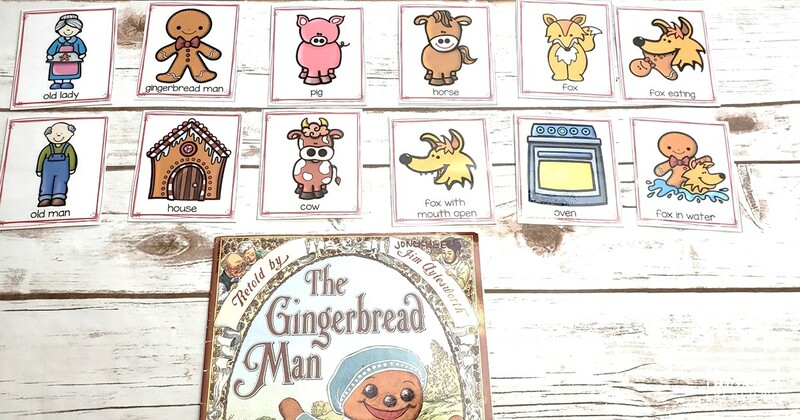 Preview: Help your students retell the story of The Gingerbread Man with these printable sequencing cards. Perfect for preschool or kindergarten. It is no secret that we love all things gingerbread man around here! I always loved exploring different versions with my first and second graders and having them write their own version in a short mini unit. Until my girls are old enough to try that at home, we've had all sorts of other preschool & kindergarten gingerbread man fun. We've read all different versions of The Gingerbread Man, created our own Gingerbread Men with our invitation to play and even practiced counting and writing numbers using gingerbread man characters. This week we worked on retelling the story of the Gingerbread Man using sequencing cards to help remind us of the important events and characters in the story. To start our retelling fun, we read a few versions of The Gingerbread Man. While we have lots of favorite versions of the The Gingerbread Man, this set of retelling cards is designed for the more traditional story. At first we used the board book, The Gingerbread Man A Touch and Feel Book. The animals in the story matched the cards, but instead of an old man and an old lady, there was a baker and his wife. For a more traditional version of the story, we read The Gingerbread Man retold by Jim Aylesworth. This fit most of our retelling cards, but I liked that not every card matched the book exactly. This forced my daughter to really think about the story and what events happened in the specific book we read. After reading the story, I set out the cards in rows in front of my daughter. I asked her how the story started. She pulled the cards for the man, woman, the gingerbread man and the oven and told me, "The lady and the man made a gingerbread man and put it in the oven." She then continued to retell me the story using the picture cards as clues to remind her. She remembered the correct order that the Gingerbread Man met the other animals and what happened when he met the sly fox. This is a great time to work on transition words such as: first, next, then, last, after that, in the end, etc. When she was done retelling, she had the picture cards in the correct order in a straight line. The cards that did not match this version were left at the top. 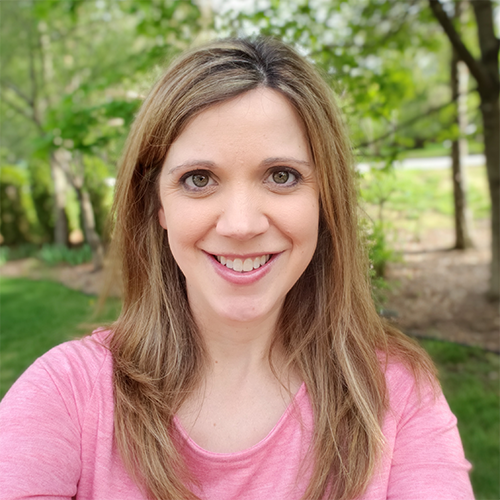 If your child is younger or struggling to remember what happened, have them flip back through the pages to help remember what came next or reread the story. Then we pulled out our felt board and our homemade gingerbread man felt pieces. You can check out how we made these DIY Felt Board & Pieces here. I let my daughter practice sequencing the events of the story using the felt pieces this time instead of the picture cards. I have the Gingerbread Man Sequencing Cards as a FREEBIE for you! Scroll to the bottom of this post to snag them. 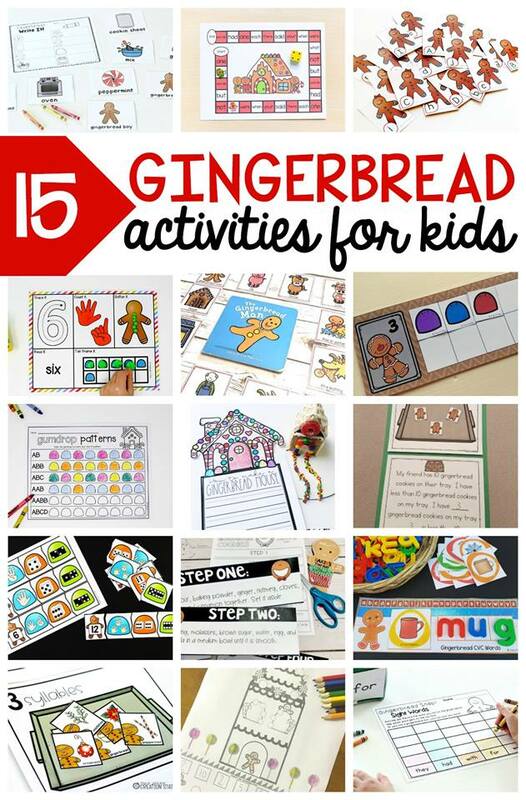 Looking for some more gingerbread man ideas perfect for Prek-2nd grade? Check out these awesome ideas and freebies from some amazing bloggers. Ready to grab your FREE retelling The Gingerbread Man sequencing cards? Just click the "click to download" button below, enter your email and it will be emailed directly to you. If you have any problems with your free printable, check out our FAQS.